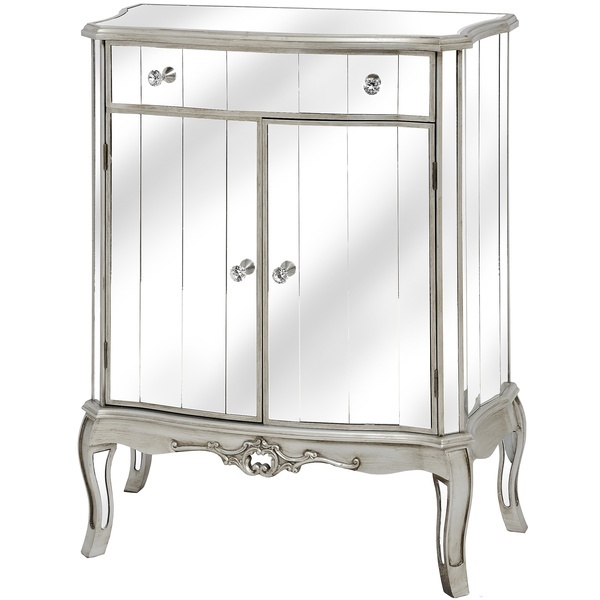 If you love luxury, French inspired interiors and want to add some stunning, elegant furniture to your home, The Tiffany Range is for you! 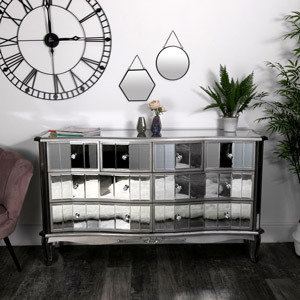 The Tiffany Range is our most extensive mirrored furniture collection, with pieces design for bedroom, living room, dining room and hallway use. 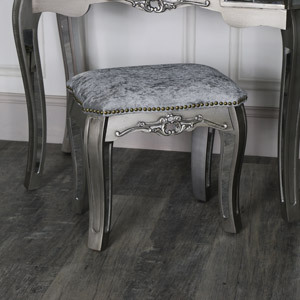 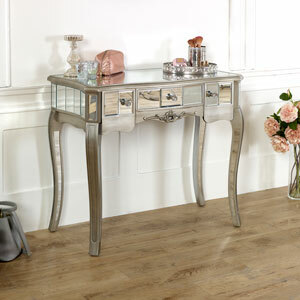 The Tiffany Range has a distinctly glamour look and vintage feel. 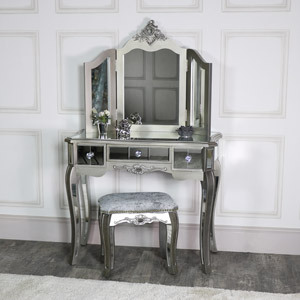 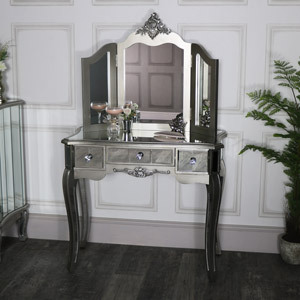 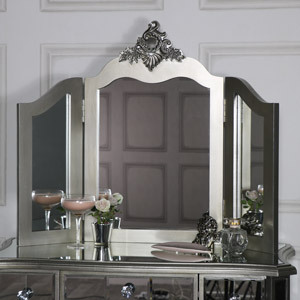 Each item in this collection has an antique silver painted finish, ornate rococo style carved detailing, mirrored panelling and crystal style handles. 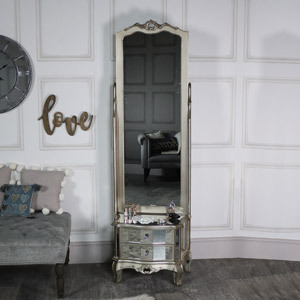 This collection boasts a gorgeous variety of items with different designs available. 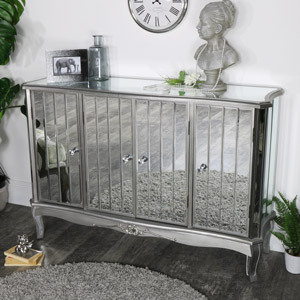 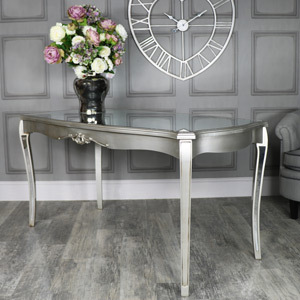 We have a selection of bedside tables, storage chests, dressing tables, mirrored and TV cabinets available in this range to suit all taste and needs. 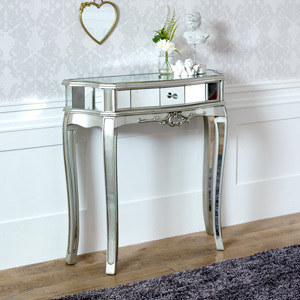 View the full Tiffany collection and create your own luxury home heaven.